Michigan Truck Trader is the most comprehensive monthly listing of trucks, trailers, parts, and equipment for sale and services related to the heavy truck industry in Michigan. 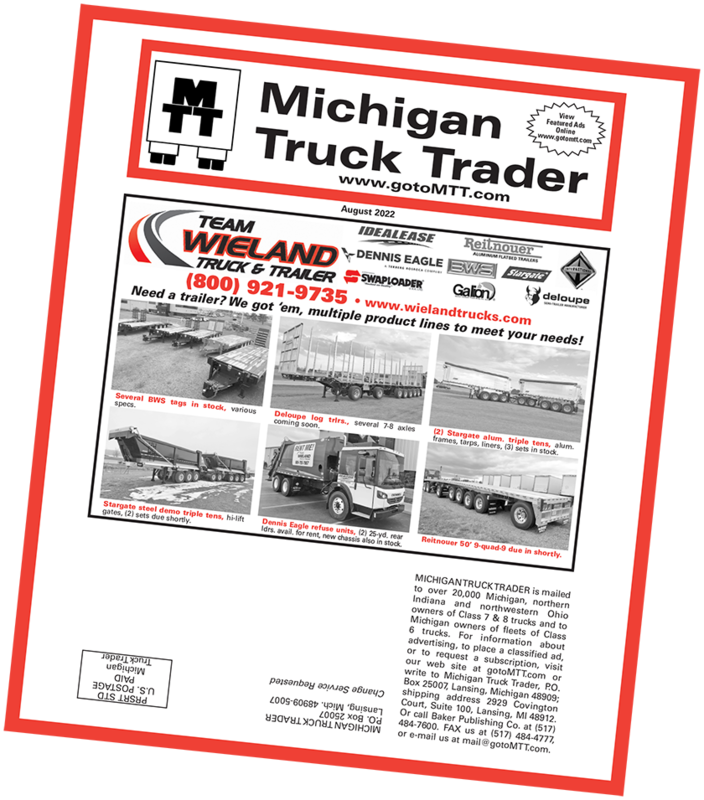 Serving Michigan over 40 years, Michigan Truck Trader is mailed monthly to over 20,000 owners of Class 7 & 8 trucks. If you'd like to visit this month's front cover advertiser's website, just click on the front cover.